Heavy-duty 1.5 hp motors and pad drivers give the machine the strength it needs to perform big jobs. It offers extreme durability with industrial-strength, corrosion-proof polyethylene components. The machine includes a pad driver. 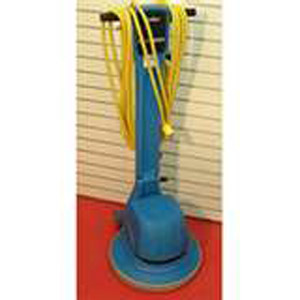 Can be used to polish, buff, strip, sand and remove floor coverings with the use of proper attachments.